Senior Architectural Historian for the Virginia Department of Historic Resources. Member of the Institute of Classical Classical Architecture & Art‘s Advisory Council. The reconstruction of destroyed historic and architectural landmarks has long been considered as something less than serious architectural expression. The loss of a significant work is usually taken to be an opportunity to rebuild with a structure reflecting a contemporary aesthetic and lifestyle. Many architectural pundits maintain that all new buildings should look to the future, not the past. Nevertheless, a persistent popular sentiment holds that natural or man-made tragedy should not deprive us of important heritage, and that accurate rebuilding of noteworthy lost landmarks is a legitimate activity. Reconstructions serve emotional, patriotic, aesthetic, and educational needs. Moreover, the majority of reconstructions, both here and abroad, are serious, scholarly achievements. Time has shown that few people regret these resurrected landmarks. To illustrate this point, I have cited here fifteen conspicuous reconstructions, all of which are now symbolic public amenities. I could easily list several score more, but these are sufficient to make a case for their value. We should note that reconstruction projects have become a particularly noteworthy phenomenon in Germany. The Potsdam Stadtschloss, Hannover’s Schloss Herrenhausen, and the Braunsweiger Schloss in Brunswick are all recent reconstructions–each serving contemporary uses. Such projects have instilled pride and new life into their respective communities. The Berlin Royal Palace is currently under reconstruction and will accommodate museums and special events. The criterion for including reconstructed works in this piece is the accurate recreation of the exterior of a totally or near totally lost building. Such projects may or may not include replication of original interiors. This definition precludes gutted buildings such as London’s Wren churches where exterior walls survived the Blitz largely intact. However, as with Dartmouth Hall discussed below, some reconstructions have incorporated modern structural systems and fireproof materials. 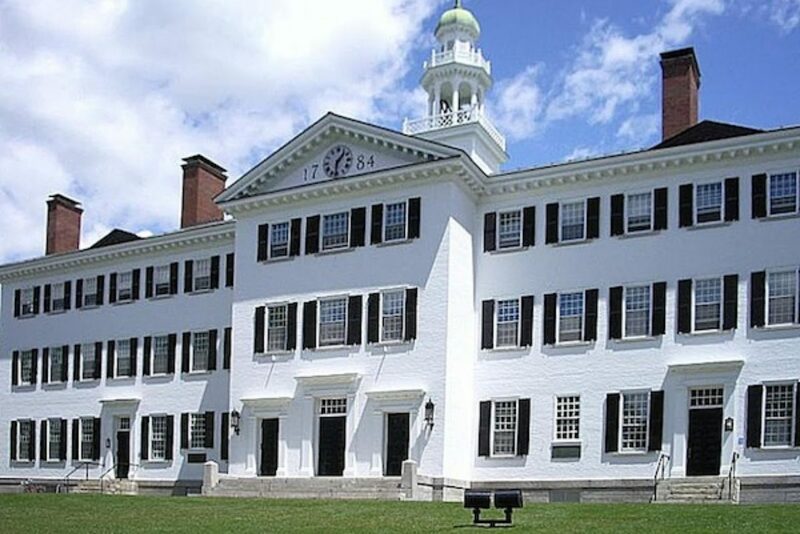 The original Dartmouth Hall was built 1784-91 to accommodate the college’s post-Revolutionary growth. As with many of the era’s educational institutions the building was the college, housing dormitories, classrooms, a library, and a museum. Although initially proposed to be brick, the hall was timber frame sheathed in clapboards. Records show that the massive pine frame was raised in ten days in 1786. Israel Parsons served as joiner for interior work and finished the cupola “with proper ornaments agreeable to the rules of architecture.”[i] Through faulty wiring, the building caught fire on February 18, 1904, and was reduced to embers in two hours. The decision to replicate the building was made while the fire was still hot. However, the new hall would have a steel frame and white brick walls instead of wood. The sixth Earl of Dartmouth laid the cornerstone in 1904; the new building was occupied in 1906. Two salvaged original window frames were incorporated in the façade. 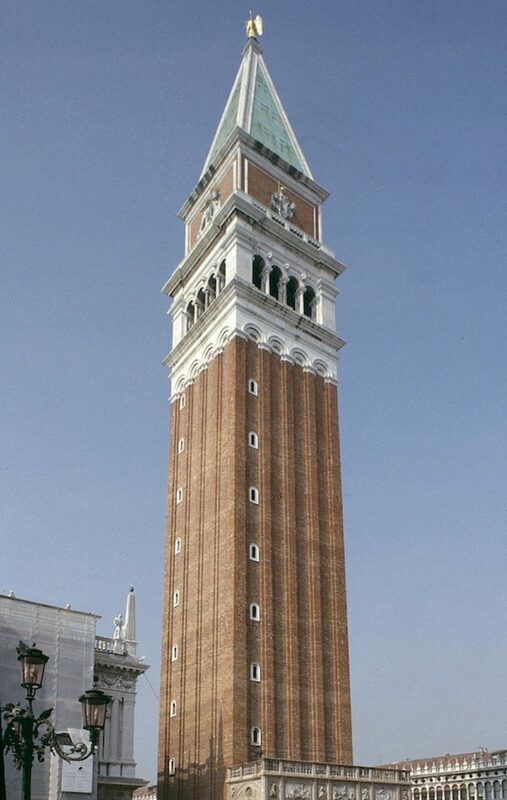 A powerful focal point of one of the world’s most famous public spaces, St. Mark’s Campanile is only 102 years old. Construction of a watchtower on this site began in the 9th century with work continuing into the 11th century, eventually making use of the tower as a campanile. Repairs to earthquake damage undertaken in 1511-14 resulted in the campanile receiving its definitive profile, designed by architect Giorgio Spavento. The gently tapering brick tower stood 310 feet tall with its bells high in a marble arcade, the whole crowned by a steep pyramidal roof topped off with a gilded statue of the Archangel Gabriel. Fire damage suffered in successive years caused cracks to appear in the sides, resulting in increasing structural weakness. Finally, at 9:45 AM, July 14, 1902, the entire edifice collapsed into a huge pile of bricks. The Venetian communal council wasted no time in determining to rebuild the campanile exactly as it was. The new campanile, a world-famous landmark, was officially completed on August 25, 1912—St. Mark’s Day. Few of the millions of visitors to Venice are aware that it is a replica. The relocation of Virginia’s colonial capital from Jamestown to Williamsburg in 1699 required the construction of a suitable residence for the colony’s governor. The stately dwelling, subsequently known as the “Palace,” was begun in 1706 and completed in 1720 under the direction of master builder Henry Cary. It served the royal governors until 1775, and then became the residence of the new commonwealth’s first two governors: Patrick Henry and Thomas Jefferson. The Palace was destroyed by fire in 1781 while being used as a military hospital. 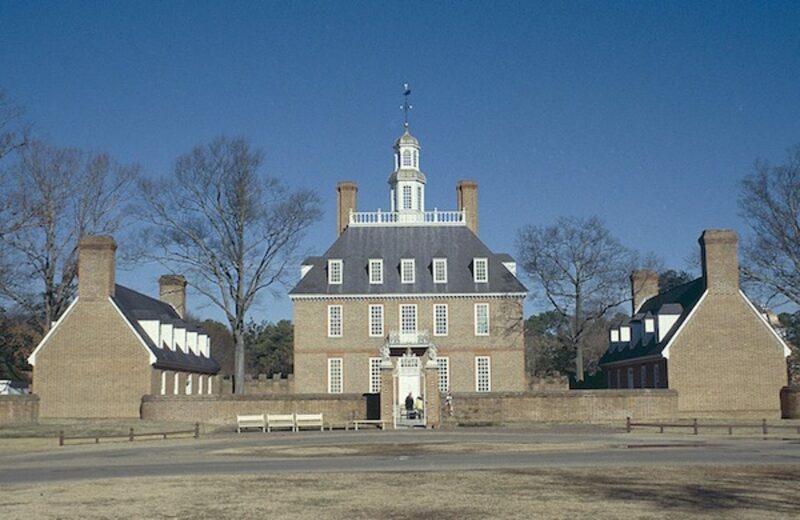 As part of the restoration of the colonial town, the Palace was reconstructed in 1930-32 by the Colonial Williamsburg Foundation. Key aids to its appearance were the archaeological remains of the original foundations and a measured plan by Thomas Jefferson. Most importantly, its exterior appearance was revealed by the discovery in 1929 of an engraving plate in the Bodleian Library in Oxford, showing the Palace’s elevation, its dependencies, portions of the garden, and many other details. Now more than eighty years old, the reconstructed Palace has been an educational venue for millions of visitors. The surrender of Confederate General Robert E. Lee to Union General Ulysses S. Grant in the parlor of Wilmer McLean’s 1848 residence effectively ended the Civil War. One of the ironies of history is that McLean purchased the remotely located property in 1863 because he wanted to distance himself and his family from Civil War hostilities. He had experienced action in 1861 at his prior home in northern Virginia during the First Battle of Bull Run [Manassas]. Speculators purchased the historic house in 1891 with the intention of dismantling and rebuilding it as a tourist attraction either in Chicago or Washington. The house was disassembled but funds for relocation and rebuilding did not materialize. The stacked parts were pilfered over the next fifty years. Fortunately, specifications and drawings for the rebuilding survived, and were an essential aid in its reconstruction by the National Park Service. 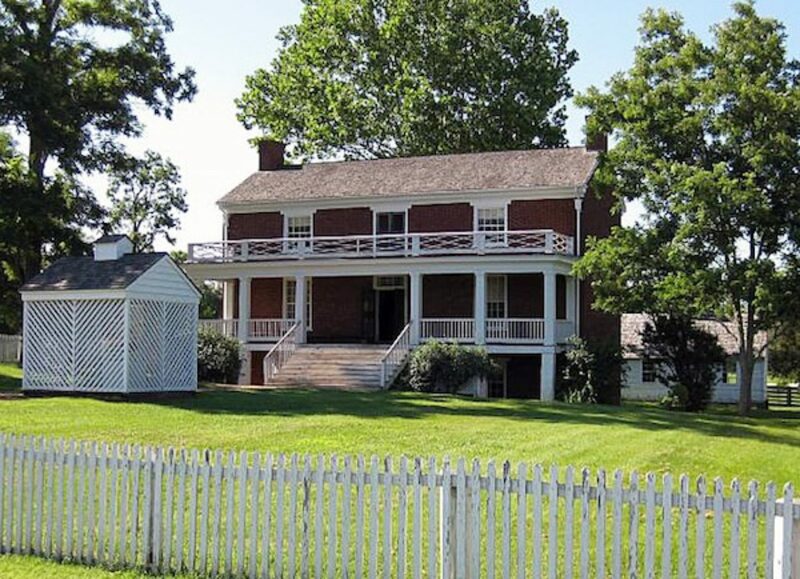 Completed in 1949, the rebuilt country Greek Revival dwelling is a prime component of the Appomattox Court House National Historic Park. One of Athens’ principal Hellenistic civic works, the Stoa of Attolos was built ca. 140 B.C. as a gift to the city by King Attolos II of Pergamon. With its 377-foot façade, the imposing two-tier structure was a dominant element of the Athens Agora, the city’s central commercial and gathering area. 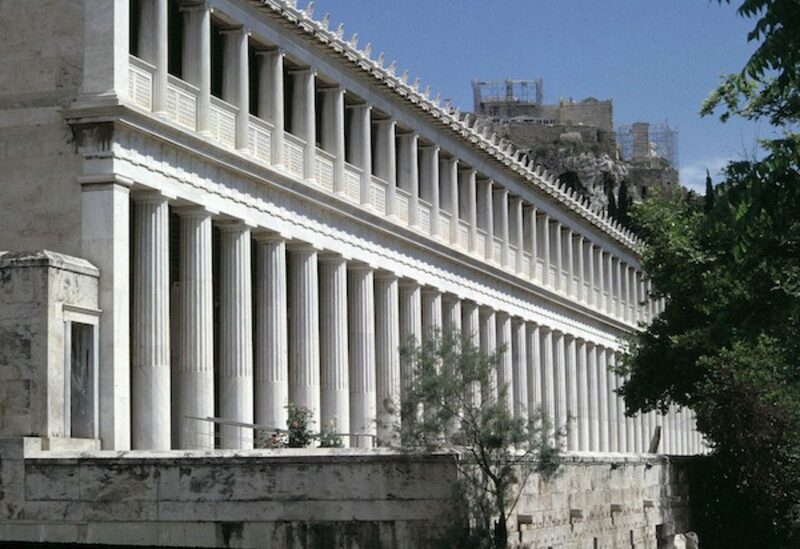 Fronting its many shop stalls, the Stoa’s spacious colonnades were popular strolling and meeting places. The Stoa was destroyed by the Germanic Heruli tribe in 267 A.D. Its site underwent archaeological investigations beginning in 1862. More intense excavations and study were conducted by the American School of Classical Studies in Athens beginning in the 1930s. The school’s research produced sufficient evidence to justify a plausible reconstruction. With funds donated by the Rockefeller Foundation, the rebuilding of the Stoa was carried out in 1952-56. Criticism was directed against the project for being in contravention to the accepted code of restoration practice. Nevertheless, the building has served as an important demonstration of the appearance and function of an ancient stoa. It now houses the Museum of the Ancient Agora. 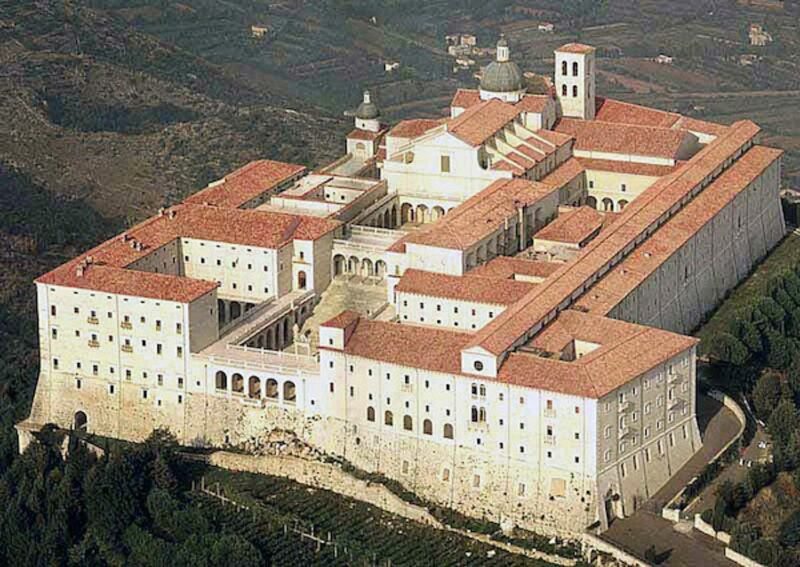 The Abbey of Montecassino was founded in 529 by St. Benedict of Nursia, who established the principle of Western monasticism with his Benedictine order. The complex was largely rebuilt beginning in the 11th century employing exceptional splendor. The Allied destruction of the abbey in World War II was not only tragic but was revealed to have been unnecessary. Belief that Germans troops were using the complex as a strategic observation post led to the order to obliterate it with the bombing raids of February 15, 1944. It was subsequently learned that Germans were not ensconced there, and that the numerous casualties were civilians seeking refuge. The monks immediately resolved to rebuild the abbey as it was. Three architects proposed replacing it with a modern-style complex but were rebuffed for ignoring the history of the site. With oversight and funding from a government commission, the abbey was carefully replicated in 1948-56, with architect Joseph Breccia Fratadocchi directing the work. Care was taken to incorporate fragments of original material into each column of the several cloisters. Though the project was said to be at odds with contemporary preservation theory, supporters held that the reconstruction symbolized the beginning of the rebuilding of war-torn Italy, and that the project looked backward in order to look forward. This prodigious Gothic pile was one of the largest medieval commercial buildings in Europe. Construction of the original structure began around 1200 and was completed by 1303, serving as a market and warehouse for the town’s thriving cloth industry. 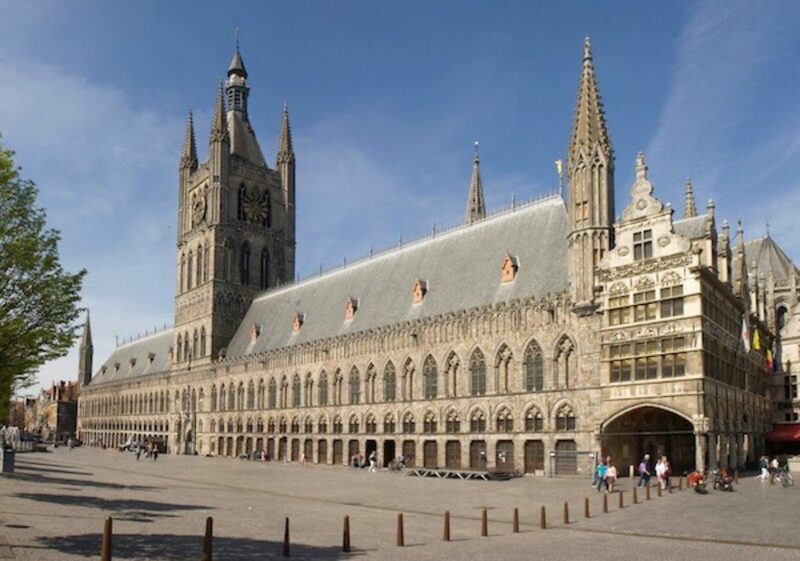 Ypres was caught in the crossfire of World War I during the German invasion of Belgium. The hall was damaged by German artillery on November 21, 1914 and was torched by incendiary devices the following day. Further damage was inflicted in 1915 through shelling by the German artillery piece “Big Bertha.” The remaining structure was reduced to rubble by 1918, leaving only a mutilated section of the bell tower. Following the war, the British declared that the remaining ruined piece should be left as a memorial. Local determination to recreate the beloved landmark led to a meticulous reconstruction begun in 1933 and lasting until 1967, a project directed by architects J. Coormans and P. A. Pauwels. Today, much of the stunningly vast hall houses the In Flanders Field Museum, an installation interpreting World War I. The town of Sitka served as the capital of Russia-America from 1808 to 1867, and of the U.S. Territory of Alaska from 1867 to 1906. 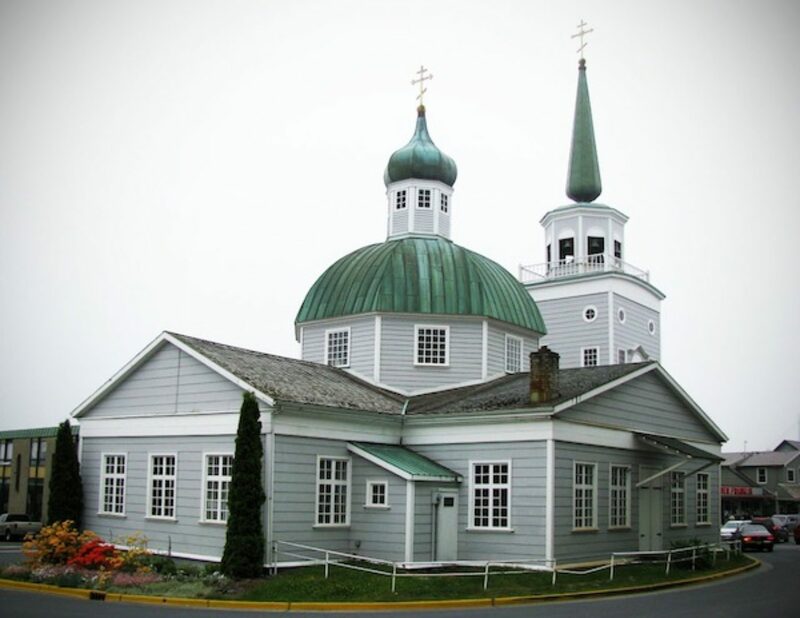 St. Michael’s Cathedral in Sitka, built 1841-48, became the spiritual center of the Alaskan Russian Orthodox Church. Like many traditional Russian buildings, the cathedral was constructed of logs covered with wood siding. Centered over its cruciform plan was an octagonal dome topped by an onion domed cupola. An elongated onion dome marked the bell tower. Fire swept through the town on January 2, 1966 and engulfed the cathedral. Many of the icons, the iconostases doors, and a chandelier were rescued before the church burned to the ground. Fortuitously, the Historic American Buildings Survey had measured the building in 1942 and produced six sheets of measured drawings in 1961. These records were used to reconstruct the church, a project begun in 1967 and completed in 1976 under the direction of architect Sergei Padukov of New Jersey. A steel frame structural system was employed in place of log. St. Michael’s was designated a National Historic Landmark in 1962; the reconstructed building retains its National Landmark status. 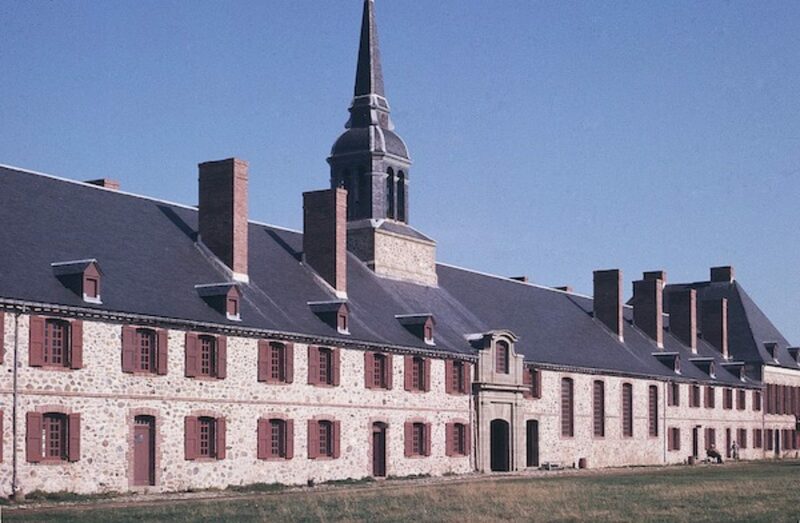 One of the most ambitious reconstruction projects ever undertaken in North America has been the rebuilding of one fourth of Fortress Louisbourg and the town it enclosed. Located in a remote northern corner of Nova Scotia, Louisbourg began as a French settlement in 1713 and grew to a strongly defended fortress town from 1720 to 1740. Its positon on the Atlantic coast served to guard both the entrance to the St. Lawrence River and French fishing interests. In 1760, following the British capture of Louisbourg in 1758, Prime Minster William Pitt ordered the removal of all its occupants and the complete demolition of the town and its fortifications. Two centuries later, in recognition of its French cultural heritage, the Canadian government undertook reconstruction of the site as a Centennial Project. With the aid of extensive archaeological investigation and massive documentation, the rebuilding began in 1963 and extended over the next twenty years. Original architectural drawings for many of the houses and other structures survived in French archives. Louisbourg today consists of some eighty buildings along with three quarters of a mile of fortifications exhibited by Parks Canada. Shown is the King’s Bastion Barracks. 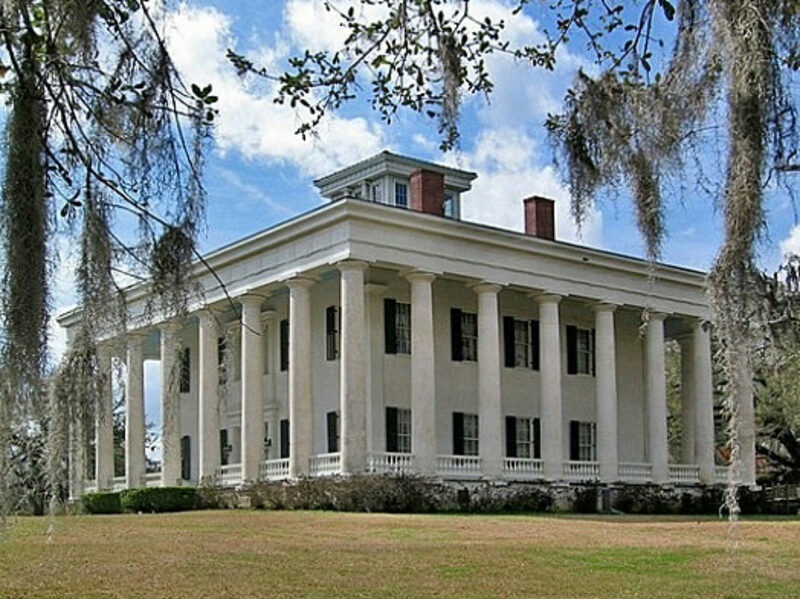 Few dwellings were more evocative of the prosperity of the antebellum rural South than Greenwood Plantation’s mansion house. Built in 1830-35 by William Ruffin Barrow, the stately dwelling was set off by its peripteral colonnade of twenty-eight Doric columns. Barrow’s plantation consisted of 12,000 acres worked by 750 slaves. Fearing the loss of his fortune with the impending Civil War, Barrow sold Greenwood to the Reed family. Union troops looted the property and destroyed nearly all of the plantation’s some 100 ancillary structures. They spared the house by using it for a hospital. Mr. and Mrs. Frank Percy purchased the neglected property in 1915 and restored the house, opening it to the public in 1940. On August 1, 1960, fire from a lightning strike completely destroyed all but the columns. The fact that the house was stucco over wood frame made it vulnerable; the columns, however, were stuccoed brick. Walton Barnes purchased Greenwood with 300 acres in 1968. Following several years of research, he and his son Richard undertook a careful reconstruction using numerous photographs and descriptions, completing the project in 1984. Greenwood is now open to the public and serves as a B&B. The house has been a location for several motion pictures. 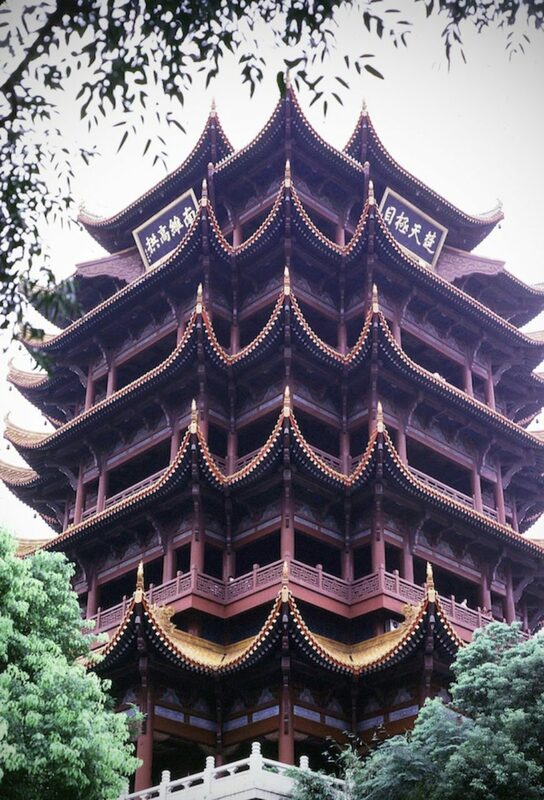 A staggering work of traditional Chinese architecture, the current Yellow Crane Tower stands atop Snake Hill, overlooking the Yangtze River and the sprawling city of Wuhan. The original tower, built on the river’s edge in 223 A.D., was associated with various legends involving Chinese “Immortals” being carried on a yellow crane. The tower was destroyed and rebuilt some seven times. The next-to-last iteration, built in 1868 in the Qing Dynasty, was destroyed by fire in 1884. Recognizing its importance to Chinese culture and as a sacred venue for followers of Taoism, it was decided to reconstruct the tower once again, but on a new site with greater visual prominence, one kilometer from the original location. The new tower, built 1981-85, generally replicates its Qing Dynasty appearance but is constructed in modern materials. However, 100,000 yellow glazed tiles were used to roof the multiple curved gables. One room on an upper level is reserved for visiting poets. 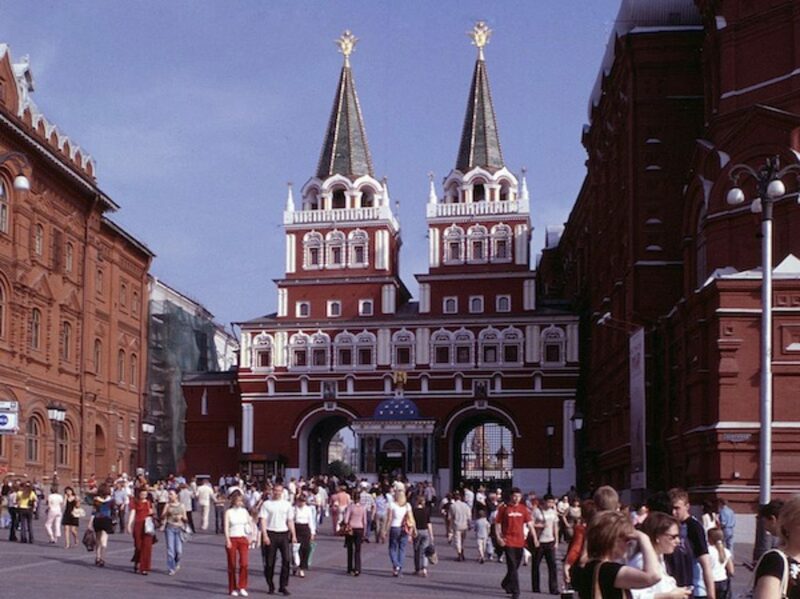 Dating from 1538, the Iberian Gate and Chapel marked the northern entrance to Red Square. The name Iberian derives from the Russian Iversky, which in turn connotes the Georgian Iveron Monastery on Mount Athos in Greece where is housed a miracle-working icon. In 1669, a replica of the icon was placed in the small chapel between the gate’s arches. Here all visitors to Moscow, including the Czar, would pray upon entering the city. Twin pyramidal towers were added to the gate in the 1680s. The chapel was demolished in 1929 and the gate removed two years later to provide access to Red Square for the large military pieces shown off during Soviet celebrations. In 1994, following the establishment of the Russian Federation, the Moscow city government authorized the reconstruction of the gate and chapel, an undertaking sanctioned by the Russian Orthodox Church. Oleg Zhurin served as architect for the project as well as for the reconstruction of the nearby Kazan Cathedral in Red Square. Standing high on a prominence overlooking the Mississippi River, the reconstructed Nauvoo Temple, with its fanciful clock tower, dominates the small town of Nauvoo. Mormons, or members of the Church of Jesus Christ of Latter Day Saints, settled in Nauvoo in 1839 to escape their persecution in Missouri. Their original stone temple, designed by Mormon architect William Weeks, was begun in 1841 and competed by 1846. 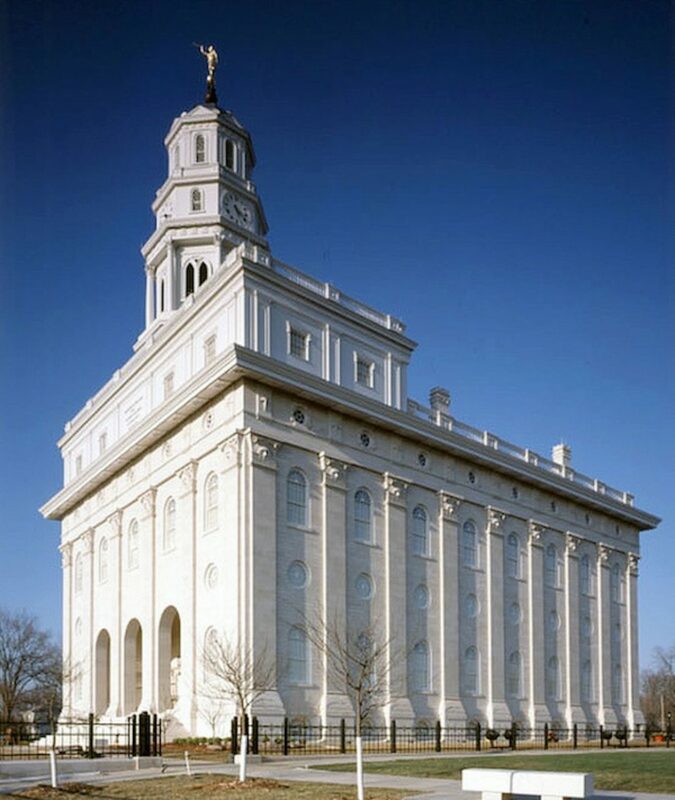 The Mormons soon were forced out of Nauvoo and the temple was burned by an arsonist in 1848. The remaining walls were damaged by a tornado in 1850, and what was left of the ruin was demolished in 1865. The Mormon Church reacquired the site in 1937. Using historic photographs, drawings, written descriptions, and archaeological evidence, construction of an accurate replica of the temple began in 2000. The new temple, built of reinforced concrete veneered with the same type of limestone as the original, was dedicated in 2002. It serves as an active temple, used exclusively for Mormon rituals. 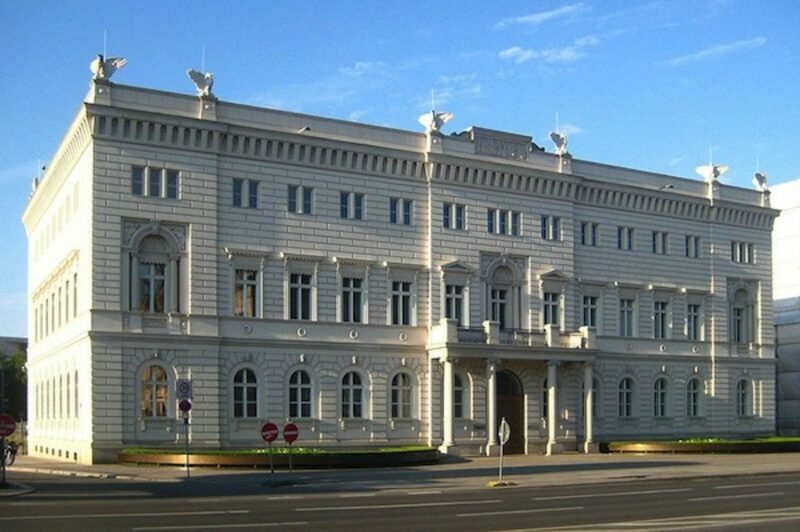 The reconstructed Kommandantenhaus has the prestigious address of No. 1, Unter den Linden. A house was built on the site in 1653 and expanded as a private palace in the 18th century. It became the seat of the commander of the Berlin Garrison in 1799. The palace was greatly enlarged and remodeled in 1873, acquiring a third story and a neo-Renaissance façade. The building was heavily damaged in World War II and its remains were demolished in the 1950s for the construction of the modernist East German Ministry of Foreign Affairs. The ministry building was pulled down in 1995 and the site was acquired by Bertelsmann AG, a mass media corporation, and the Bertelsmann Foundation for the location of its Berlin offices. The Berlin Senate required replication of the façade for the new structure although the interior could be wholly modern. Architect Thomas van den Valentyn directed the reconstruction using historic photographs and archaeology; no drawings survived. Critics panned the project as “Disneyfacation,” but the building serves as a key element in the most historic quarter of the city, complementing the several surviving historic structures in the immediate vicinity. The bombing of Dresden ranks among the most controversial of Allied actions in World War II. Justification for the utter destruction of one of Europe’s most culturally important cities is still debated. 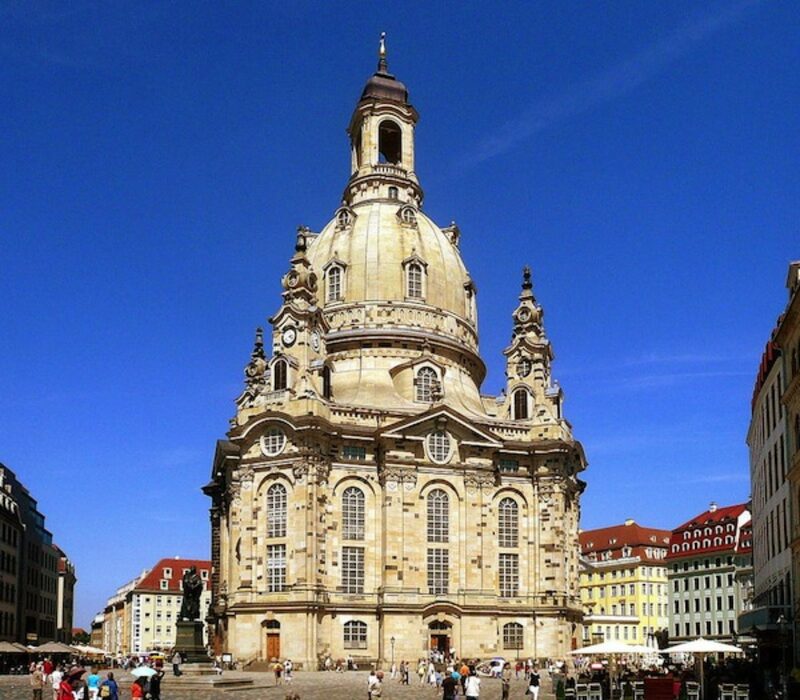 A major architectural casualty of the carpet bombings and resulting firestorm of February 13 and 15, 1945 was the Frauenkirche, the majestic Lutheran church in the heart of the city. Designed by Georg Bähr and built in 1726-43, the voluptuous domed edifice, towering 314 feet, was celebrated as a Baroque masterpiece. The raids reduced the church to a pile of stones, leaving intact only a single much-mutilated bay. Despite early sentiment for rebuilding the Frauenkirche, the East German Government declared its reconstruction a low priority and kept the rubble as a war memorial, concentrating its efforts instead on reconstructing the Zwinger Palace. Following German reunification, a citizens’ action group formed to pressure for rebuilding the church. Sanctioned by the Dresden city government, the reconstruction, directed by architect Eberhard Burger, began in 1993 and was completed in 2005. Some 3800 original stones were used in the rebuilding. These stones were left with their fire-stained surfaces as witnesses to the church’s destruction and resurrection. I hope the several examples illustrated and discussed here demonstrate that reconstruction of lost historic buildings is a legitimate and serious activity, one that provides significant public benefit. Nevertheless, such reconstructions should not be undertaken without sufficient documentation and adequate budget to ensure authenticity. The circumstances justifying reconstructions are rare. We should never fear that we will be dominated by a resurrected past. Nevertheless, I trust we can appreciate these scattered but remarkable achievements. What would St. Mark’s Square be without its campanile, and how can we not be awed by the Frauenkirche? Would that we could have a resurrected Penn Station! Finally, I invite readers of this blog to share their favorite reconstructions. [i] Frederick Chase, A History of Dartmouth College (Cambridge University Press, 1891) p. 578.